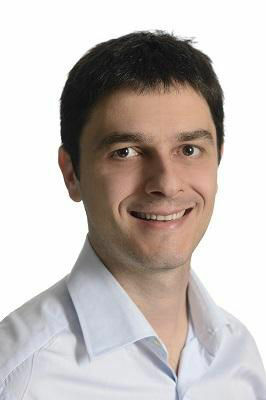 Agostino Capponi is an Associate Professor of Industrial Engineering and Operations Research at Columbia University. Agostino is a member of the Data Science Institute the Center for the Management of Systemic risk, and the FDT Center for Intelligent Asset Management . He serves as an External Consultant at the U.S. Commodity Futures Trading Commission, Office of the Chief Economist, on topics related to clearinghouse collateral requirements and financial stability. Agostino develops game theoretical models for the analysis of systemic risk and financial stability, stochastic techniques for the analysis of derivatives portfolios, market microstructure models for the analysis of market liquidity, and conducts empirical analysis of over-the-counter markets and clearinghouses. Topics of recent interest also include machine learning techniques for financial robo-advising, the mathematics of deep learning, and the analysis of cryptocurrencies. Agostino has collaborated and maintains on-going collaborations with the main regulatory agencies tasked with risk monitoring and policy making, including the Department of Treasury's Office of Financial Research, the Commission of Future Trading and Commodities, and the Federal Reserve Board. Agostino's research has been funded by the NSF, DARPA, the Institute for New Economic Thinking, the Global Risk Institute, the Clearpool Group and the OCP Group. Agostino serves on the editorial boards of Mathematical Finance, Applied Mathematical Finance, SIAM Journal on Financial Mathematics, Mathematics and Financial Economics, Operations Research, Operations Research Letters, Stochastic Systems, Stochastic Models, and the American Institute of Mathematical Sciences Journal of Dynamic and Games. He also serves as the Financial Engineering Department Editor of the Institute of Industrial Engineering Transactions, and as a Co-Editor of The Finance Department of Management Science. He serves as the program director of the SIAM activity group in Financial Mathematics and Engineering, and as the president of the INFORMS Finance Section. Agostino received his Master and Ph.D. Degree in Computer Science and Applied and Computational Mathematics from the California Institute of Technology, respectively in 2006 and 2009. Agostino is a recipient of the NSF CAREER Award, the JP Morgan AI Faculty Research Award, a prize from the MIT Center for Finance and Policy and the Harvard Crowd Innovation Laboratory, and the Bar-Ilan prize for general research in financial mathematics. Agostino received a Marie Curie fellowship from the European Commission. Agostino's research has received attention by various media outlets, including Thomson Reuters, the American Banker, Vox, and the Chicago Booth Review. Agostino holds a world patent for a target tracking methodology in military networks. An updated version of my CV is available here.